Palmyra; theatre exterior from south. Date of photograph: 1977. Image and original data provided by Sheila S. Blair and Jonathan M. Bloom. A poorly taken photograph of a dress and the simple question “what color is it?” spread all over social media and was picked up by several news outlets. Some people in our office saw black and blue, others white and gold, but we all agreed—enough is enough with #thatdress! 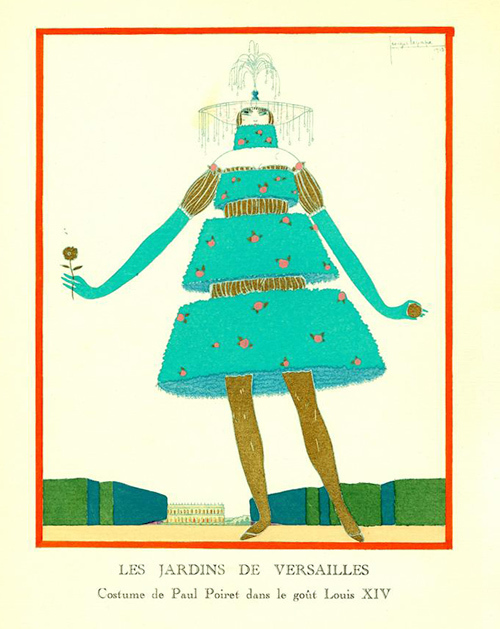 The Artstor Digital Library offers you thousands of more interesting dresses from collections like Museum at FIT, Gazette du Bon Ton (Minneapolis College of Art and Design), The Metropolitan Museum of Art: Brooklyn Museum Costumes. The selection of the Nobel Prize winners in literature is enshrouded in mystery–the list of candidates is kept secret for fifty years after each award! While we’re as much in the dark as to who will win the next prize as anyone else, we can offer a list of all the previous winners, along with links to dozens of their portraits (or, in the case of Thomas Mann, to a photo of his hands) in the Artstor Digital Library. 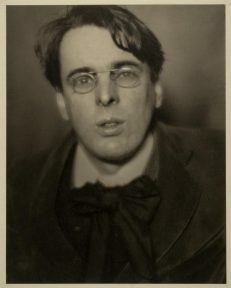 Alvin Langdon Coburn, William Butler Yeats, January 23, 1904. George Eastman House. 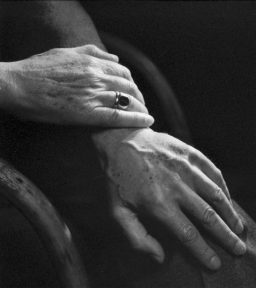 Yousuf Karsh, Hands: Thomas Mann, 1946. George Eastman House. Jacques Callot, Piazza Santa Croce, Florence, from the Capricci; Soccer Tournament in the Piazza Santa Croce), 1617, Gabinetto disegni e stampe degli Uffizi. Image and original data provided by SCALA, Florence/ART RESOURCE, N.Y.artres.com, scalarchives.com, (c) 2006, SCALA, Florence / ART RESOURCE, N.Y.
Debris from a meteor streaked through the sky in western Siberia early this morning, causing a boom that damaged a large number of buildings, mainly in the Russian city of Chelyabinsk. Some 1,000 people were reportedly hurt, mostly as a result of glass shattering when the meteor entered the atmosphere. A mystery from nearly 3,200 years ago has been solved: Conspirators murdered Egyptian king Ramesses III by cutting his throat, according to a recent study in the British Medical Journal. Furthermore, the investigation suggests that one of his sons was involved in the murder. The fate of the second Pharaoh of the 20th dynasty was long the subject of debate among historians after the discovery of papyrus trial documents revealed that members of his harem had made an attempt on his life as part of a palace coup in 1155 BC. As you’ve probably heard, people across the world have been worrying that the world will end on December 21, 2012, influenced by some recent interpretations of Popol Vuh, a 16th-century narrative about the origins, traditions, and history of the Maya nation. Thankfully, NASA scientists recently debunked this and other apocalyptic predictions. But don’t let the fact that the world is not about to end damper your interest in Mayan artifacts! The ARTstor Digital Library features more than 500 fascinating photographs of Pre-Columbian artifacts from Justin Kerr and Barbara Kerr that shouldn’t be missed. The collection consists of still and rollout photographs of vases, plates, and bowls from the various cultures of Mesoamerica. The rollouts—which show the entire surface of an object in a single frame—were made by photographer Justin Kerr with a camera he designed and built. The objects in the collection depict a variety of everyday Mayan activities and religious concepts, and stem from archaeological sites, museums, and collections throughout Mexico, Guatemala, Honduras, Belize, the United States, Canada, and Europe. View the collection here.